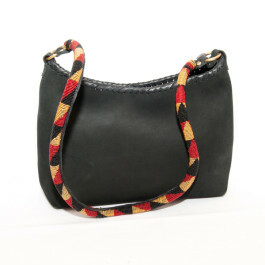 Suede bag with red, black and gold beaded round strap. 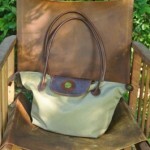 Zipped top and fully lined bag with inside zipped pocket. Solid brass fittings and zip. 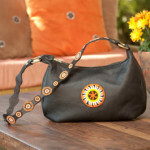 Be the first to review “Suede handbag with beaded round strap” Click here to cancel reply.